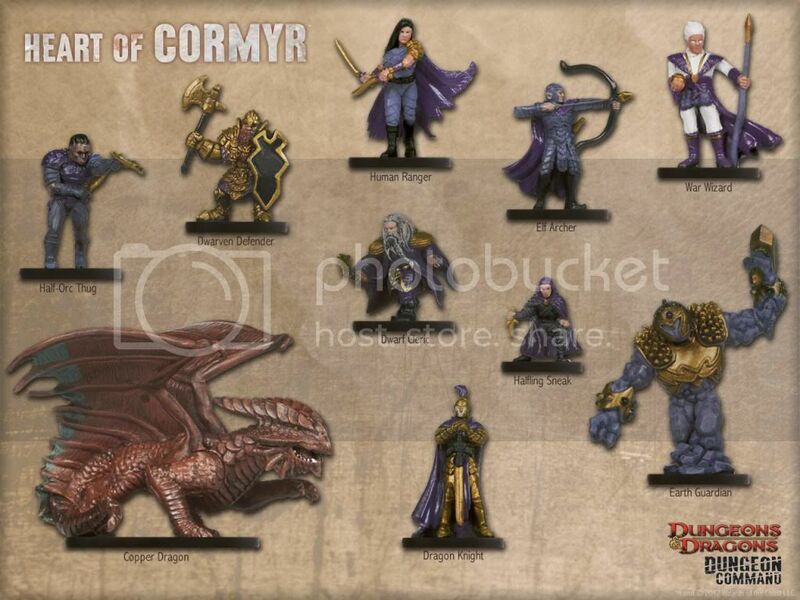 Lots of prepainted mini's for sale! Posted: Thu Aug 08, 2013 10:06 am Post subject: Lots of prepainted mini's for sale! We always get people into the store asking for pre-painted miniatures. 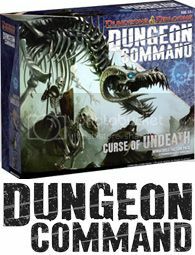 Unfortunately, Pathfinder and Wizards are about the only company really doing any lately. 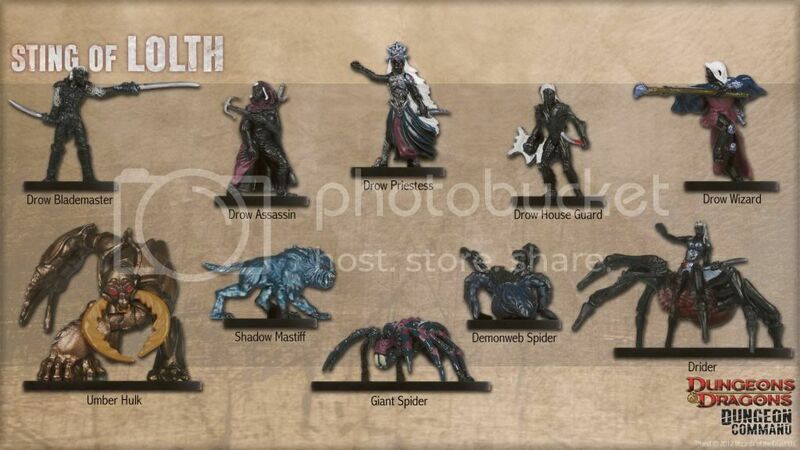 have 12 pre painted miniatures inside each one. 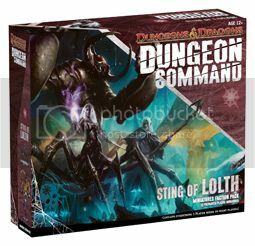 Dungeon Command features themed miniature factions designed to play as unified war bands, in a game reducing the effect of luck-driven mechanics in favor of player-driven skill, creativity, and quick thinking. 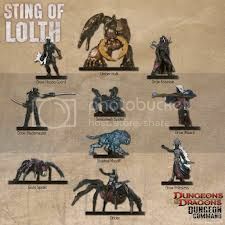 Sting of Lolth includes such miniatures as the drow assassin, priestess, wizard, spiders, and umber hulk. 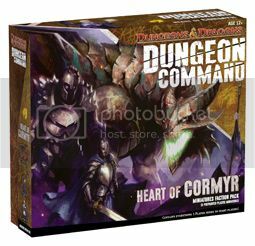 Heart of Cormyr includes such heroic miniatures as the human ranger, halfling sneak, dragon knight, dwarven defenders, and copper dragon. 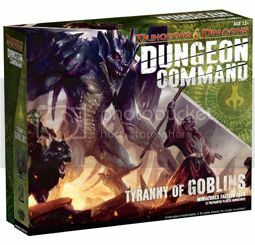 Tyranny of Goblins includes such monstrous miniatures as goblins, hobgoblins, bugbears, and the feral troll. So come on down and get these box sets for 10% off retail! !